Visit the Save the Rain booth at the Home & Garden Show, hosted by the CNY Home Builders & Remodelers at the NYS Fairgrounds March 15-18. 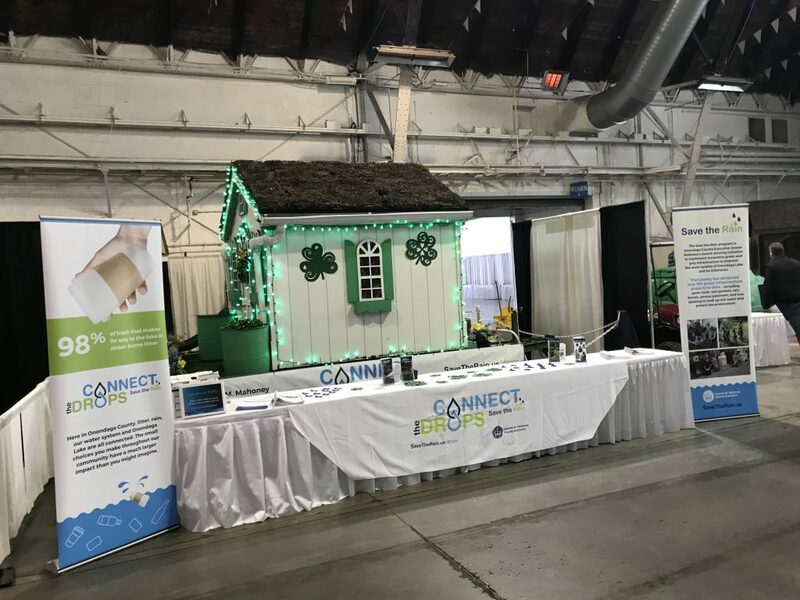 Learn how you can “connect the drops” and keep our water clean – and enter our daily FREE rain barrel raffle! Thursday 3/15, 4 – 7 P.M.
Friday 3/16, 12 – 7 P.M.
Saturday 3/17, 10 A.M. – 7 P.M.
Sunday 3/18, 10 A.M. – 5 P.M.